Are You Using The Right Thread? All of us that are in the sewing, clothing alteration or crafts businesses can get a little “lazy” sometimes and neglect some of the basic rules of sewing, such as changing our sewing machine needles, or making sure we’re using the right thread for the project at hand. Thread type is chosen for its compatibility with the fabric’s structure and fiber content as well as the type of project being worked on. There are many types of threads – carpet thread, darning thread, embroidery thread, crochet thread, basting thread, and buttonhole twist as examples. 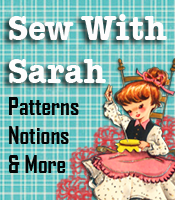 This post will deal only with the threads that are primarily used with most projects done on a sewing machine. The following chart shows various types of sewing thread and their usage. Where size numbers apply, the higher the number, the finer the thread – the median size is 50. Where letters indicate the size, A is fine and D is heavy. COTTON: A medium thickness (size 50) is available in a wide range of colors, and is used for sewing on light and medium weight cottons, rayons and linens. Cotton thread is usually mercerized, a finishing process that makes it smooth and lustrous, also helping it to take dye better. The lack of “give” in cotton thread makes it an unwise choice for knits or other stretchy fabrics, as the stitches will tend to pop. SILK: A fine (size A) strong thread for sewing on silk and wool. Its fineness makes it ideal for basting all fabric types, as it does not leave holes from stitching or imprints after pressing. Because of its elasticity, silk is also suitable for sewing any type of knit. Silk thread is recommended for tailoring because it can be molded along with the fabric in shaped areas. NYLON: A fine (size A) strong thread for sewing light to medium weight synthetics. This is especially suited to nylon tricot. POLYESTER: An all-purpose weight (approximately size 50) is suitable for sewing on most fabrics, but particularly recommended for woven synthetics; also for knits and other stretch fabrics of any fiber. Most polyester threads have a wax or silicone finish to help them slip through the fabric with a minimum of friction. COTTON-WRAPPED POLYESTER: An all-purpose weight (approximately size 50) for sewing on knits or wovens of synthetic or natural fibers or blends. The polyester core gives this type of thread strength and elasticity, the cotton wrapping gives it a tough, heat resistant surface. COTTON; POLYESTER; COTTON-WRAPPED POLYESTER: These are coarse threads (approximately size 40) used where extra strength is required for sewing of heavy vinyl, coating or upholstery fabrics. Regardless of the project you will be working on, it is very important to purchase a good quality thread. The “5 spools of thread for a buck” is not a bargain. The fibers of the “bargain” thread splits easily while you’re sewing and can cause knotting of the thread, breakage of the thread and can also cause a build-up of lint in the bobbin area and along the thread line from the spool to the needle. If you hold a length of the bargain thread up to a light you can readily see the frayed edges and roughness of the thread. When buying thread for your project it is recommended that you select thread one shade darker than the fabric in order for it to blend in harmoniously. If the fabric is a plaid or multi-color print, select that color that is most dominant.